Steam Engine 3751 built by Baldwin Locomotive Works, 1927. Experimental locomotive built for purpose of developing motive power suitable for handling heavy passenger trains over mountain territory. 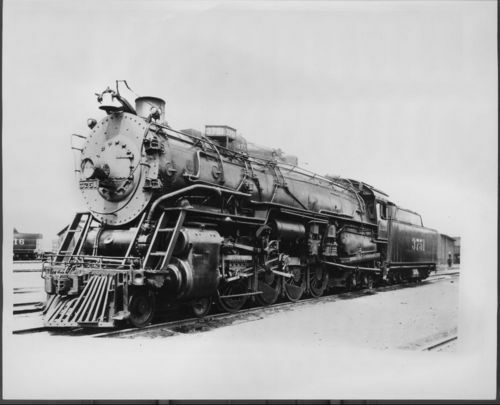 This locomotive was the forerunner of 13 additional locomotives, 3751 class, built during years 1928-1929, and 11 locomotives 3765 class built in 1938. These locomotives ran in heavy and fast passenger service between La Junta, Wellington and Los Angeles.